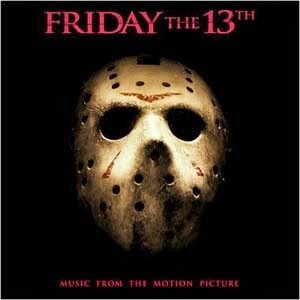 Welcome to the Friday The 13th films soundtrack listing. Here we have listed the numerous soundtrack releases for the franchise, which have either happened on Vinyl (LP), CD, or digital download. If you do not see a release listed below, please make sure to Contact Us and we will be sure to add it to the list! 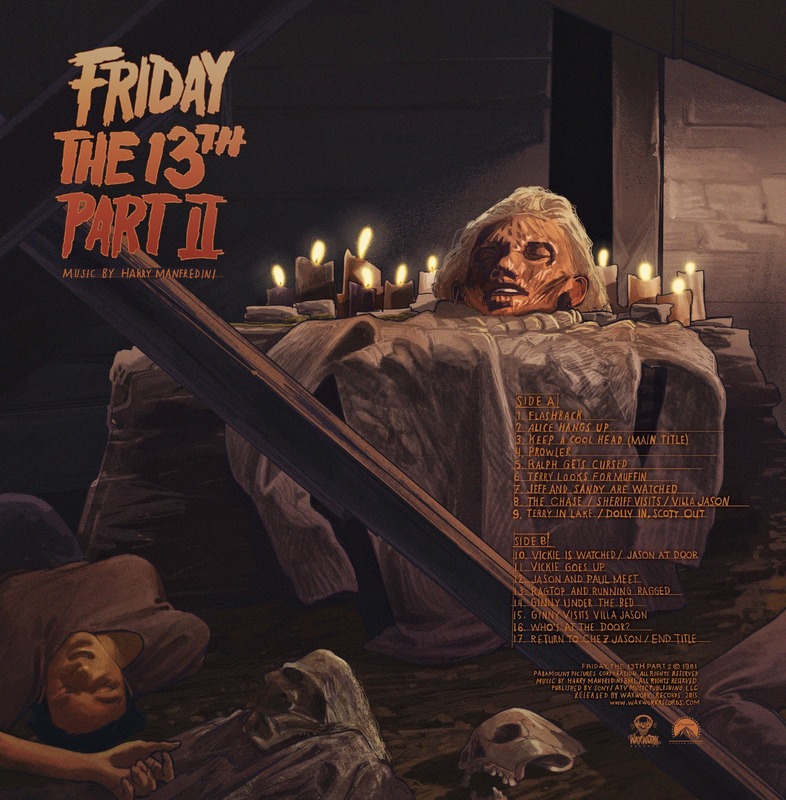 Other Info: This release contains music from composer Harry Manfredini for the films Friday The 13th 1980, Friday The 13th Part 2, and Friday The 13th Part 3. There is Blue/Red 3D art on front and back cover. 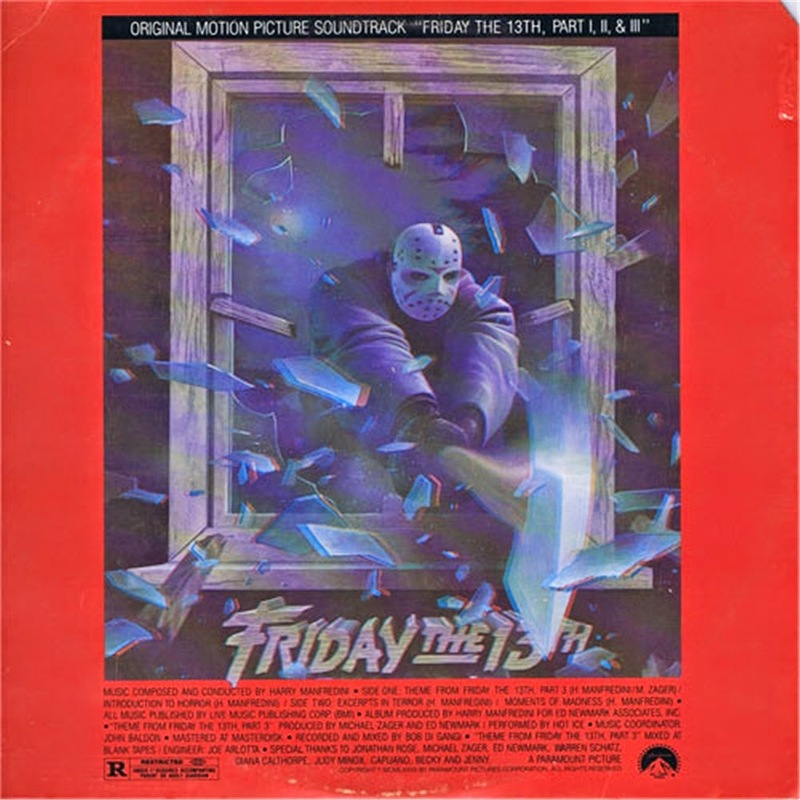 Other Info: This release contains music from composer Harry Manfredini for the films Friday The 13th 1980, Part 2, and Part 3. 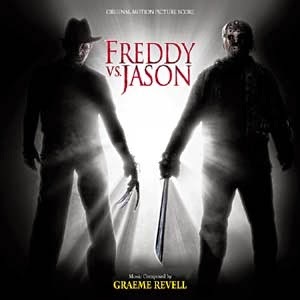 More Info: Songs inspired by the film Freddy vs Jason. Explicit version. 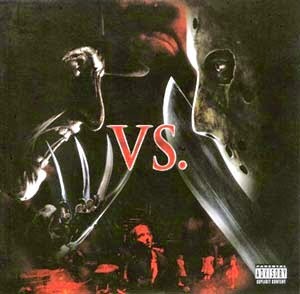 Available with three different covers: Freddy, Jason and Freddy vs. Jason. 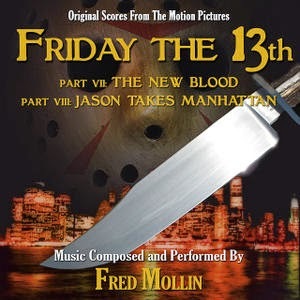 More Info: Official score release from composer Fred Mollin for the films Friday The 13th Part 7: The New Blood and Friday The 13th Part 8: Jason Takes Manhattan. Limited edition of 1,000 copies. More Info: Exclusively available through Amazon.com. 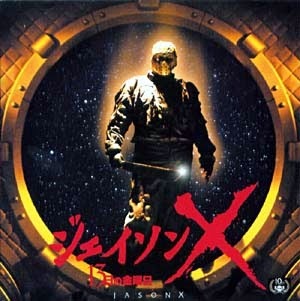 Features music inpired by the film and one track by composer Steve Joblonsky from the film Friday The 13th 2009. 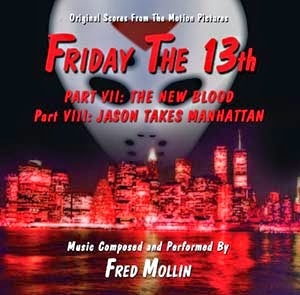 More Info: Official score release from composer Fred Mollin for the films Friday The 13th Part 7: The New Blood and Friday The 13th Part 8: Jason Takes Manhattan. 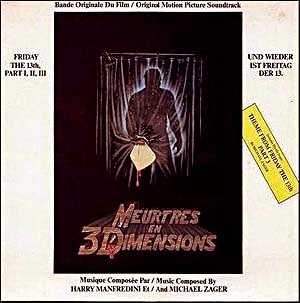 Other Info: Excerpts of music from the first six Friday The 13th films from composer Harry Manfredini produced as a precursor to La-La Land Records CD box set release. 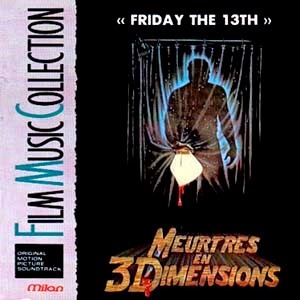 Other Info: Soundtrack box set limited edition of 1300 copies including music from the first six Friday The 13th films. Including a 40-page booklet, packed with exclusive liner notes by film music writer Brian Satterwhite. 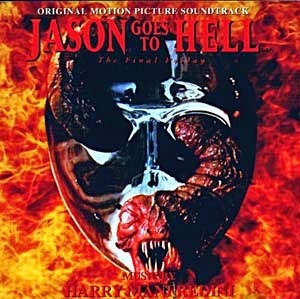 Other Info: Release of music from Friday The 13th 1980 that was also found in La-La Land Record's soundtrack box set. 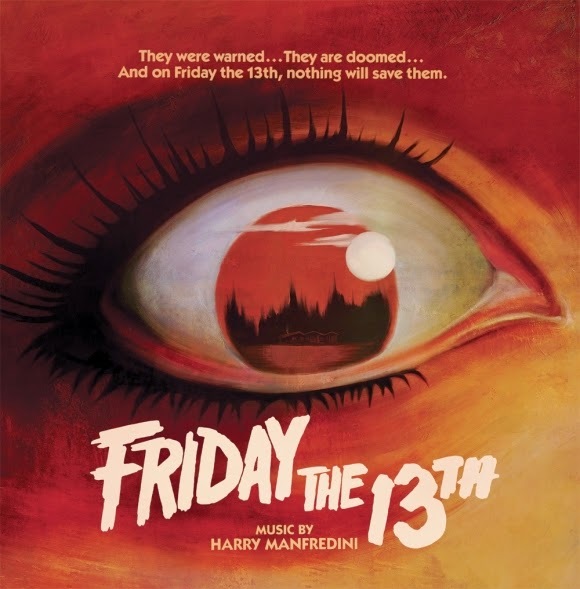 Other Info: This release contains music from composer Harry Manfredini for the films Friday The 13th 1980. Vinyl Heavyweight old-style tip-on Gatefold Jacket with Satin Finish. Exclusive Liner Notes from Director Sean Cunningham and Composer Harry Manfredini. Full Gatefold Art by Jay Shaw. Inserted Art Print Illustrated by Jacqui Oakley. 180 Gram Vinyl. Five variants: Blood Filled Vinyl, Woodland Green with Blood Splatter, Crystal Lake Murky Green and Blood 2-Color Split, Crystal Lake Murky Green. 16. Who’s At The Door?